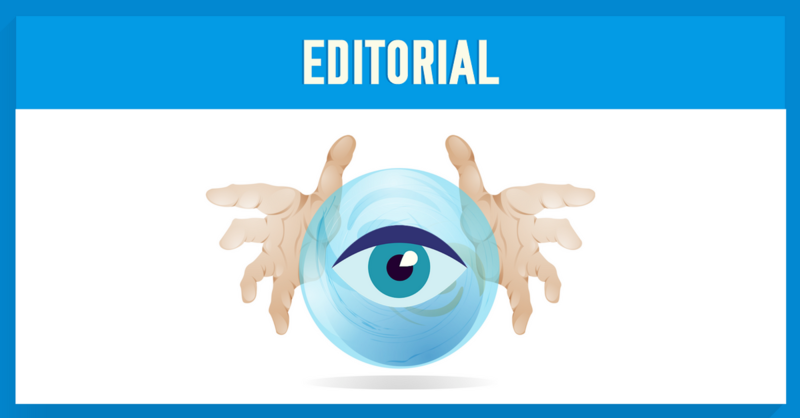 With the year closing up and everyone getting ready to make their long-lasting New Year’s resolutions, there is one thing that should be on every concerned netizen’s mind: privacy. More specifically, what the nature and threats to privacy will be in 2017. There are many predictions out there, but we’ve separated the good from the bad to come up with our top 5 privacy predictions for 2017. Let’s check them out. Ransomware was getting increasingly prevalent in 2016. With ransomware, a malicious program is installed on a computer and blocks the user’s access to the system or certain files. This block is removed when the user pays the creator of the ransomware, usually in Bitcoins. There was also an increase in Ransomware-as-a-Service, where custom ransomware went on sale in dark markets. Although it is predicted that general ransomware will decrease as new technologies are created and law enforcements cracks down on them, mobile ransomware is expected to rise. However, because mobile users generally have their data backed up in the cloud, mobile ransomware will aim to steal users’ bank credentials and take money directly from their accounts. Unfortunately, the October Dynn DDoS attack was not a one-off event. It’s being estimated that the Internet of Things (IoT) devices will continue to come under attack from various malware. It is estimated, there will be approximately 15.7 billion IoT devices by 2021. Because these smart devices are what’s known as “stick”—people who buy it rarely replace or upgrade it—the IoT device makers are in a rush to get the gadgets off the shelves as quickly as possible. This means that they are shipping out with the minimum features required for it to function, in the process shortening the development process and cutting costs as much as possible. This is great for those device makers, but horrible news for consumers. When things are rushed, they leave huge gaps in security. This is particularly dangerous for your privacy, seeing as IoT devices are constantly monitoring your activity and recording your data. This data varies according to what the device is, but it is nonetheless private data that may be at jeopardy. Seeing as IoT devices “talk” to each other and share information, there is a chance that infected devices may infect other devices. Many IoT devices also have recording abilities, so they may capture audio and video. Smart devices shipped out in 2017 may have backdoors and malware already installed, and this will be a huge privacy concern. With drones becoming increasingly popular as both a hobby and a business, it’s only logical that they will become more ubiquitous in 2017. However, there has been some evidence that it is possible to hack drones and take control of them. Amazon and UPS have both announced that they plan to deliver their packages to consumer via drones. A hacker could possibly take control of the drone and thereby intercept the package meant for the consumer. Beyond that, many law enforcement agencies are using drones for surveillance. Hacktivists may be able to hack the surveillance drones to disarm the video and audio feeds. However, nefarious organizations may simply tap into the feed and steal the surveillance data. Beyond that, because, like IoT devices, drones come in high and low quality forms, it is possible that security updates for the cheaper versions may be spaced years apart. That means that they’ll be much easier targets for hacking. According to Freedom House, internet freedom has been on decline for six straight years, and there’s no sign of it stopping. This year, we have seen huge internet liberty crackdowns in Russia and Turkey, as well as the introduction of strict laws in the UK and US. Various countries have passed laws attacking communications apps such as WhatsApp, Viber and others, as well as blocking certain social media sites. In fact, these crackdowns on communications apps and social media sites goes hand-in-hand with governments in both democratic and non-democratic nations’ attempts to limit citizen privacy and increase mass surveillance. This may be the greatest threat to privacy of them all. This is especially true for US citizens who are either unsure or scared of President-elect Donald Trump’s stance on the Internet privacy. However, based on his recent controversial national security staff picks and support by pro-government surveillance individuals, it seems likely that US online privacy will be threatened in 2017. Aiming to enhance their national security and law enforcement powers, a number of governments passed new restrictive laws in 2016, limiting privacy and sanctioning blanket surveillance. With the political climate becoming more tense and less predictable around the world, we are likely to see this trend continue in 2017. One piece of legislation concerning the entire world is already in the works. The US federal surveillance law is set to expire in 2017, starting a major debate over whether and how it should be replaced. Last May, members of the Senate Judiciary Committee heard from experts defending and criticizing the sweeping anti-terrorism law, Section 702 of the Foreign Intelligence Surveillance Act Amendments of 2008. The debate will certainly resurface and reach a critical point next year after the new Congress and President Trump take office. The current law allows U.S. intelligence agencies to spy on the electronic communications of people living outside the United States; however, they also collect a vast amount of email, text messages and other personal data from Americans. Lawmakers from both major parties have expressed concerns, arguing that government agents must have to get warrants before searching Americans’ data. In order to best protect your privacy, it is imperative to be vigilant in your online activities. It is also recommended to use secure privacy tools, such as NordVPN, to help anonymize you while you are browsing the internet. Remember, a VPN such as NordVPN will allow you to establish a secure, encrypted connected to a server in a location of your choice. Through that server, the user will connect to the destination site, and it will seem that all communications are in fact coming from that intermediary server. The way things are looking, we will need all the privacy help we can get. In general, there is no reason to believe that global privacy will fare any better in 2017 than it has in 2016, and therefore it is most likely to continue to be attacked from both criminal and governmental sides.